This would make the country only the second to do so, after Uruguay. THE GOVERNMENT OF Prime Minister Justin Trudeau will unveil legislation today to fully legalise recreational marijuana use, making Canada only the second country to do so, after Uruguay. Its legalisation and regulation would follow in 2018, in time for Canada’s national day on 1 July. The country’s ministers of health, justice, public safety and national revenue, as well as a former-cop-turned-MP who spearheaded the initiative, will make the announcement. The stated aim is to reduce policing and prosecutions, and keep it out of the hands of children. Canadian political leaders have also decried the current anti-drug regime as a failure. 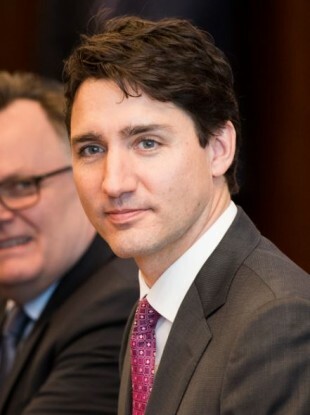 Trudeau himself admitted in 2013 to having smoked pot five or six times in his life, including at a dinner party with friends since being elected to parliament. He has also said that his late brother Michel was facing marijuana possession charges for a “tiny amount” of pot before his death in an avalanche in 1998, and that this influenced his decision to propose legalising cannabis. Police chiefs who support legalisation point to the nearly 70,000 police-reported incidents related to cannabis, mostly possession, in 2014, saying police resources are being wasted and criminal convictions are causing undue harm. In anticipation of the legislative move, there has reportedly been a rush on licenses to produce medical marijuana, pot stocks have shot up, and dispensaries have opened in cities across the country vying for market share in what promises to be a lucrative business. The latter, however, has led to police raids and controversy, and pleas from the government to would-be sellers to be patient and wait for the legal regime to be announced. Medical marijuana use has been regulated in Canada since 2001. But cannabis remains a controlled drug, for the time being. According to government statistics, as many as 4.6 million Canadians will consume an estimated total 655 metric tons of cannabis annually by 2018, spending an estimated Can$4.2 billion to Can$6.2 billion each year. A task force led by former deputy prime minister Anne McLellan released a report last December outlining possible regulations for creating a legal market for cannabis including plain packaging and labelling, restrictions on advertising, and retail distribution. The more than 80 recommendations included maintaining a separate medical marijuana regime, as well as criminal penalties for trafficking and selling cannabis to youth. Under the proposed rules, individuals would be allowed to grow up to four plants at home for personal use. Personal possession, however, would be limited to 30 grams (one ounce). The report also noted that the biggest concerns in more than 30,000 submissions to the task force concerned the proposed minimum age and impaired driving. Health groups expressed concern about the potential impact of marijuana on developing brains under the age of 25. Since the intention of legalisation is to stop criminalising users the panel chose an age that would not force adults under 25 to turn to the illicit market. It noted that US states where recreational marijuana use is legal had aligned the minimum age with alcohol consumption at 21. In Canada legal adulthood starts at 18 or 19, depending on the province. Public Safety Minister Ralph Goodale, meanwhile, said officials are testing devices similar to roadside breathalysers to detect cannabis. The drug has created new enforcement challenges because there is no legal or verified scientific test to determine a level of THC — the psychoactive chemical in pot — that causes impairment. Email “Cannabis set to be legal in Canada by July 2018”. Feedback on “Cannabis set to be legal in Canada by July 2018”.